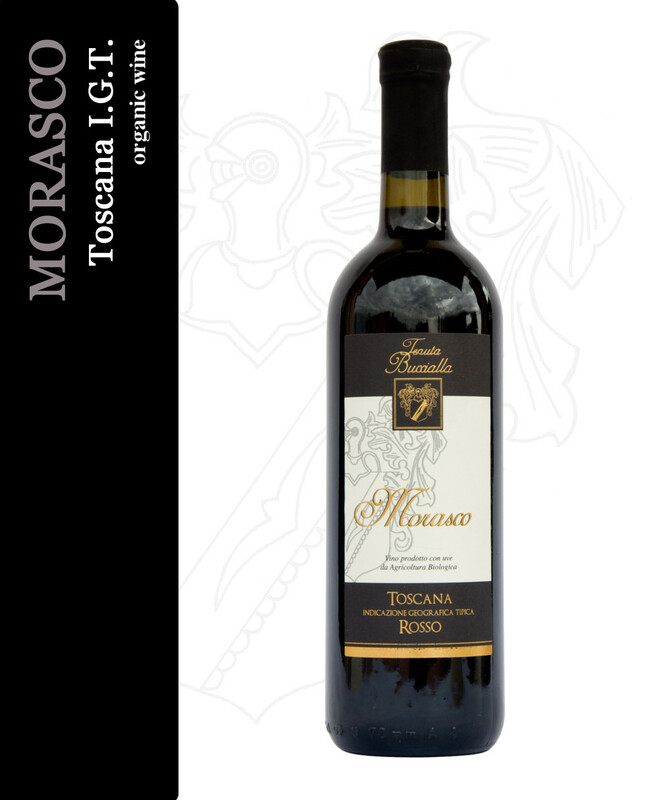 Morasco is a typically Tuscan wine produced using Sangiovese, Canaiolo and Colorino grapes. Grapes are picked at the end of September, beginning of October when they have reached full ripeness. Ground: Clayey muddy sediments of lagoonal deposition of the Middle Pliocene. Vinification: Grapes are macerated in cement tanks for 10-12 days at a temperature of 28°-30° C. During fermentation the must is frequently pumped over and delestage is carried out to maximise colour extraction. Appearance: Bright ruby red, steadily purple. Aroma: Red fruits with cherry overtones. Flavour: A dry, warm, soft and well-balanced wine. Suitable to be drunk throughout a meal.